The more heart families we get to know, the more I think about a simple division that exists for parents in our situation; those who knew about their child’s condition before they were born, and those, like us, who did not. 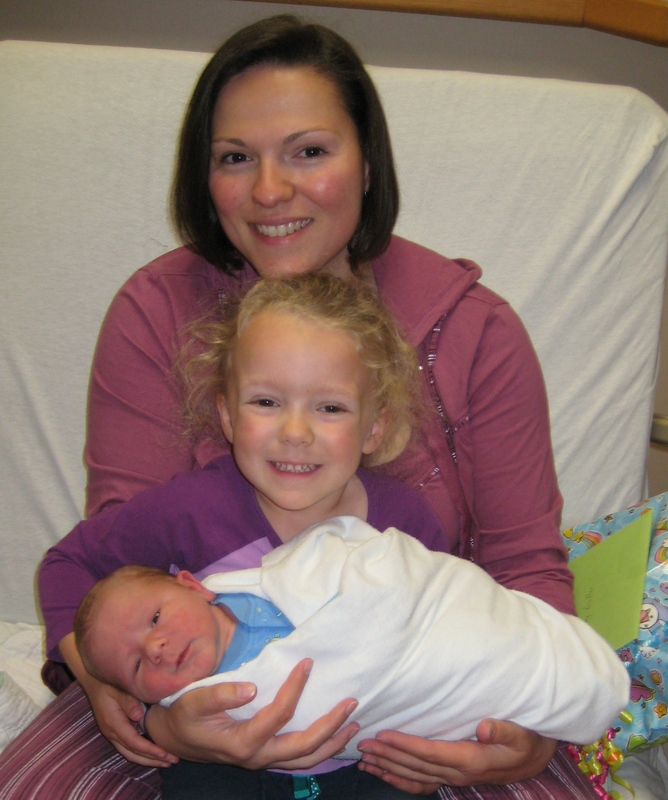 Alexander was born in May of 2009, and as time passes and I see new families step into the shoes we wore six years ago, I find myself giving a lot of consideration to those early days after Alex was born. I remember it being very difficult at times to sort out my feelings. The analogy of a balloon comes to mind. All the joy, excitement, and pride of becoming a father again lifting the balloon off the ground, but this time fighting against a giant weight called CHD that houses feelings of confusion, fear, and despair, and prevents the balloon from lifting as fast as it should. The passage of time also allows for some internalizing and self discovery. I don’t think I realized it at the time, but it turns out I was angry. I think my family and friends would tell you I’m a pretty calm guy. I actually don’t remember the last time I got really mad. I don’t like conflict, and typically try to solve problems through compromise and consensus building instead of arguing a point. I don’t like feeling angry. But it turns out, I was, and here’s the strange thing… I wasn’t angry at the world for putting us in this situation, I wasn’t even angry at God for implementing this plan without running it past me first. I was angry because most of the other parents we spoke with knew this was coming, and we didn’t. For a long time, we just accepted that Alexander’s CHD was simply missed during the routine prenatal Ultrasound. After all, the heart of a baby is a tiny little thing, and surely the differences between a healthy heart and a CHD heart are small and subtle when seen through sound. After a while though, things began to suggest that Alex’s condition was more conspicuous than that. Right Atrial Isomerism is very complex from a physiological standpoint. It’s one of those CHD’s that bring with it multiple complications, and lots of fun acronyms (ASD, VSD, DORV, TAPVR, etc.). There are also several anomalies present not related to his heart. His liver and stomach are reversed, and he’s got no spleen, just to name a couple. Surely some sort of flag should have gone up in the Ultrasound right? Looking back, things started to hit home when Alexander was moved to the NICU at our local hospital for evaluation a few hours before being transferred to SickKids for the first time. The sonographer performing the echocardiogram was very honest. “I’m not qualified to offer any feedback. I don’t understand what I’m seeing”. If it was so obvious just after Alex was born that something was really wrong, why didn’t they see it before? It wasn’t until after Alexander’s Glenn/Coles procedure that we eventually decided to ask the blunt question. 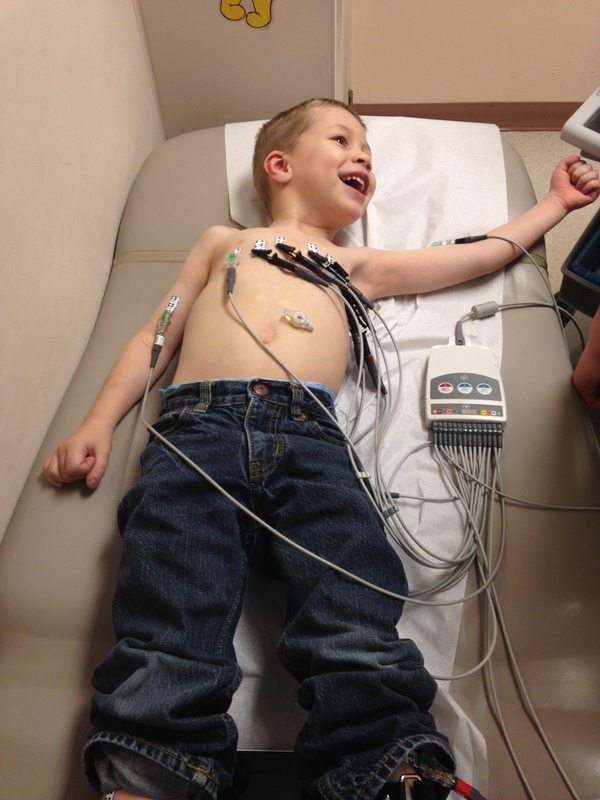 After one of Alex’s cardiology clinic appointments, we simply asked his cardiologist. “Should someone have seen this coming? Should we have known about Alexander’s condition before he was born?” Our doctor paused, I think considering his response. He then deferred to the cardiology fellow shadowing him… “What do you think?” he asked the other doctor. “In my opinion, the physiology of the top part of the heart could have been missed in a routine prenatal ultrasound. However, under no circumstances should the single ventricle physiology, or the configuration of the pulmonary veins have been missed on a follow up ultrasound focused specifically on the heart,” he said. Our cardiologist agreed. He then asked us a question I’d never really considered. “Now that you know, you need to ask yourself… what would have changed?” he asked. It was such a simple question, and I should have had an answer. I know that Alex would have been born at Mount Sinai and immediately moved to SickKids, but in the end everything worked out okay with him being born in Newmarket too. So what would have changed? Why was I angry about something I really hadn’t properly considered? “We would have been prepared,” was all I could come up with. Our doctor smiled, likely at the absurdity of my response. We wouldn’t have been prepared, nobody can be. Sure, we might have been all set up logistically. Grandparents would have been on call, time would have been booked off from work, maybe we would have had a pediatrician all set up… but prepared? I doubt it. And what about all the countervailing “what ifs?” What if we’d been assigned a different cardiologist? What if we never met Alex’s amazing pediatrician, who we actually pretended to know just to get an initial appointment? What if the added stress to the end of Michelle’s pregnancy had resulted in something catastrophic? What if we’d been told Alexander was unlikely to survive? I admit, I assess these from the position of a parent whose child has done extremely well given the complexity of his disease. It’s easy to look back without regret given that Alexander has, so far, exceeded even the most optimistic predictions. I also realize now that not knowing was likely the better situation for me personally. Months of additional opportunity to consult Dr. Google about Alex’s diagnosis would not have been a beneficial experience. It’s okay that we didn’t know. I might feel differently if we had, after all I doubt anyone has ever said “I wish we’d been surprised,” but I’ve accepted the way things worked out; in large part due to the conversation we had with our cardiologist that one day in clinic. What would have changed? Probably nothing. What I have trouble accepting is that for a long time I defaulted to anger, and even jealousy that other parents knew about their child’s CHD ahead of time, and we didn’t. It sounds ridiculous, I know. I’ve given a lot of thought to this over the years, trying to understand the reason why. All I can come up with is that it’s for the same reason parents snap at nurses sometimes, or fly into a rage when a custodian rearranges the furniture in the CCU waiting room, disrupting the temporary home base they’ve established for themselves. It’s a simple reality that we’ve all faced at one time or another. It’s easier to be angry than scared. There’s one more reason I’m okay with how things worked out for us, and it’s not something I’ve shared before. When people ask how we cope with Alexander’s CHD, I’ve often said that Alexander’s condition has just always been there, that he’s always been our heart baby. That’s not entirely true. I hold dear a photograph that immortalizes a memory of my young family sitting in our hospital room in the hours after Alexander was born. It was only for one day of naive bliss, but for that one day Alexander was simply our beautiful new baby boy. His older sister was not the sibling of a heart baby, we were not heart parents. We had no idea what was to come in the next 24 hours. I don’t regret what became of that family; in fact I treasure our experience since more than anything. But I also treasure the memory of that day, and the perfection of that single moment in time, a moment made possible because we didn’t know. The parents of kids with complex congenital heart defects will know all too well the following post. I am very aware that I am not alone. I am not the first parent to experience it, nor will I be the last. That does not give me any comfort. Doesn’t make me feel any less alone, any less unprepared, any less scared out of my skull. Owen’s defect requires staged surgical interventions for survival. The first is done at birth, the second around the 6 month of age mark and the last at 2-3 years of age. This past June, Owen turned 6…he has yet to have the last stage. His heart was never strong enough to endure the final stage. Truth be told, his doctors never believed it would be strong enough. His function was so poor that we were all waiting for the decision to “list” him for transplant. Then, after a little perseverance and some awesome heart function medications, Owen’s heart function is ‘adequate’. This means he has been approved for surgery. Insert P-A-N-I-C. These past few years of waiting and hoping for this heart function to improve has been gut wrenching. We had come to accept transplant as Owen’s future. But since birth, we have been told everyone is better off keeping what they were born with for as long as you can. Most people do not realize the complexity of transplant. The ramifications and the side effects, the difficulty of finding a heart that is the correct size, right type, and the precise concoction of antibodies. We are on uncharted territory. I have done all I know how to do to prepare to explain to Owen and his siblings. I have read books, articles, sought resources and support…..but nothing that will promise them everything will be ok. Nothing anyone can say or do will promise Owen that he will not feel pain, that he will be able to run outside, or go to another Monster truck show. No one can promise Emma and Gavin that their brother will come home unscathed…or that he will come home at all. This is our reality. We do not know anything different. But as a family, we have learned to pull together and power through. We have done our best to prepare the kids the best way we know how. We know that things will get worse before they will get better. We are walking straight into the the thick of the battle with every weapon we have. We are braced for impact. Laura is a regular blogger for Cardiac Kids. Check back regularly for updates about Owen’s surgery.